In the office or at home the Geemarc Solar 4 phone is a very cost effective compact telephone with some useful features. 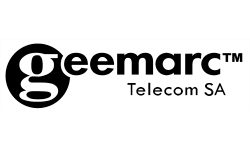 The Geemarc Solar 4 will connect into an analogue extension on a telephone system or alternatively even directly into an analogue telephone line. As the keypad is on the underside of the telephone handset the Geemarc Solar 4 is an extremely compact telephone. It is flexible on where it can be located too as the Geemarc Solar 4 is wall mountable and can sit on the desk as well. The Geemarc Solar 4 phone can store the details of 13 different telephone numbers in its memory. 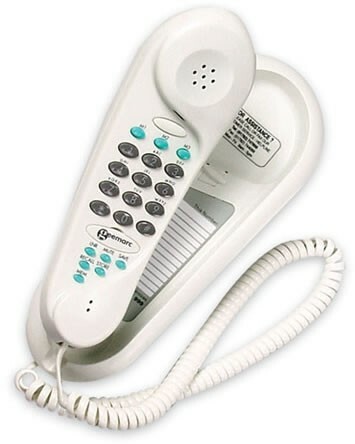 This saves having to keep the information on some other format next to the telephone. They are split into 3 speed dial buttons and 10 further memories stored in the phone and accessed by two button presses. With a last number redial button there is now no need to keep inputting a complete telephone number each time you want to dial someone back. The Geemarc Solar 4 business telephone is compatible with most telephone systems and has a recall button that is normally used to put a call on hold ready for transfer.